UTAR Faculty of Business and Finance (FBF) researchers, namely Seow Ai Na, Dr Choong Yuen Onn, Dr M. Krishna Moorthy and Chan Ling Meng’s research paper was recently awarded the “Most Downloaded Paper” award by Wiley International Journal of Tourism Research (IJTR), an international journal platform that promotes and enhances research developments in the field of tourism. 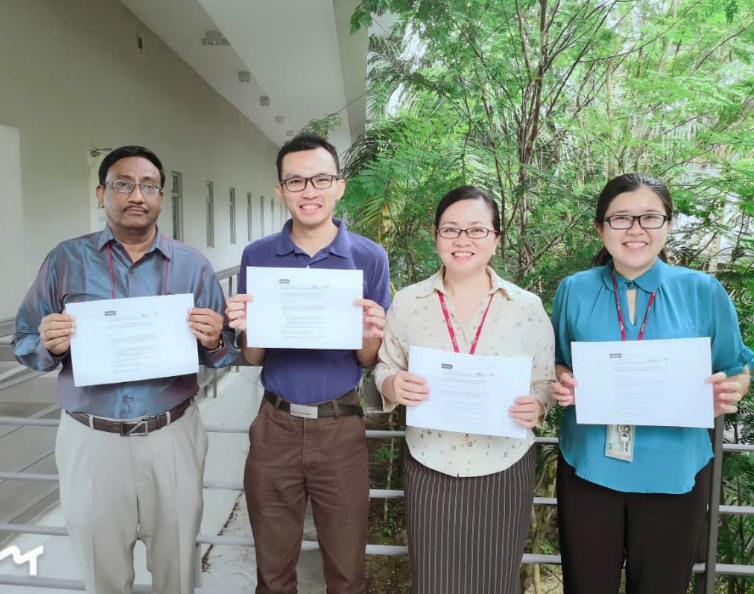 Titled “Intention to Visit Malaysia for Medical Tourism Using the Antecedents of Theory of Planned Behaviour: A Predictive Model”, the paper aimed to examine the extended model of Theory of Planned Behaviour in predicting tourists’ intention in seeking medical tourism in Malaysia. Read about the research here. IJTR promotes and enhances research developments in the field of tourism. The journal provides an international platform for debate and dissemination of research findings whilst also facilitating the discussion of new research areas and techniques. IJTR continues to add a vibrant and exciting channel for those interested in tourism and hospitality research developments. It continues to include high quality research papers in any area of tourism, including reviews of literature in the field and empirical papers on tourism issues. The IJTR journal is currently indexed with Clarivate Analytics’ Social Sciences Citation Index (SSCI) and Current Contents - Social & Behavioral Sciences and holding an impact factor of 2.449 as per JCR 2017. The IJTR journal is published bimonthly by John Wiley & Sons, Hoboken, New Jersey, United States.